Each conference experience is unique. A huge event such as IFLA World Library and Information Congress, is not an exception. On this ocassion, María del Carmen Díez-Hoyo, member of the IFLA Government Libraries Section, gives us her impressions gained from the last congress held in Helsinki. Three years have passed since I had been to an annual IFLA meeting. The 78th annual conference took place in Helsinki, August 11th to 16th. It is a Nordic city, a kind city, beautiful and with pleasant weather, at least during the conference. It also enjoys good public transportation: trains, tramways, buses and subway. 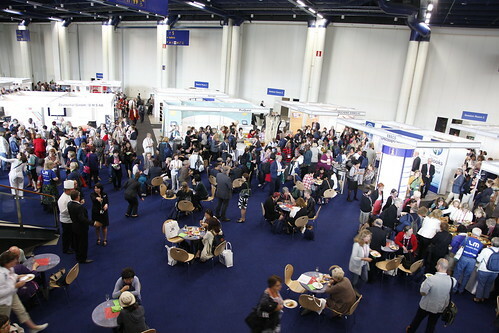 The conference’s headquarters was a huge convention hall, teeming with 4000 librarians, the usual suspects at these events, colorfully tagged with their names, institutions and countries.